It can be tempting when you’re knee deep in client projects, product development, and building your business to slap a logo on that new thingamabob before it launches and call it a day. But let me tell you, having a strong, identifiable brand for your new thingamabob will absolutely help you sell it better, easier, and of course more frequently. This is true of both products and services whether you’ve been in business for 5 minutes or 5 years. A strong, identifiable brand helps you in a variety of ways but today we want to talk about how it helps people know what you stand for. Your why is an integral part of your brand regardless of what industry you’re in; it doesn’t matter whether you are a butcher, a baker or a candlestick maker. Once you are connected with your why and share your beliefs with your customers, they will cease to be customers. Instead, they will become loyal fans who will buy from you repeatedly, tell their friends about you, read your weekly emails, buy the t-shirt and even display the calendar you send them at Christmas. Your brand is deeply personal not only to your company, but also to its employees and its fans because they believe what you believe. They stand for what you stand for. 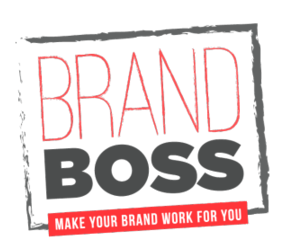 So take the time to develop a strong, identifiable brand for your business, products and services. Your bottom line will thank you. 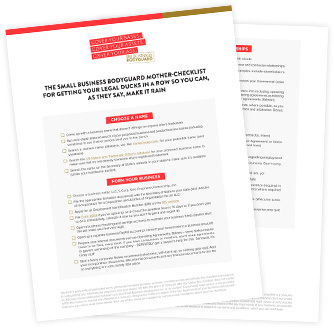 Get your hands on the smart, simple, and surefire steps to becoming legally legit. Make a list, check it twice, make it rain.